Last week I learned that the folks at ThingLink and MentorMob had done some work together to integrate their tools, making it possible to embed a MentorMob playlist directly into a ThingLink graphic. 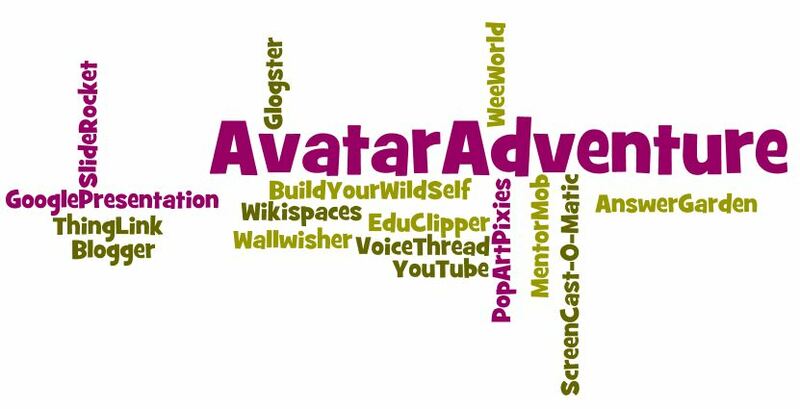 After experimenting a bit I decided to remix some of the content I’ve been using for years to teach digital citizenship and the result is the creation of Avatar Adventure. For me, the exciting part about designing this learning activity was being able to create something that other people could understand and use. And yes, I certainly learned a lot as I was designing the activity. Of course, once I got going I included several other free web 2.0 tools to create the whole package. These are the tools I used, wordled. It's it a treat when tech tools play nice with each other! I tip my hat to the developers at ThingLink and MentorMob who made sure users could combine forces. @CharlesUpTop Thanks for taking time to comment on this blog. I couldn't agree more!